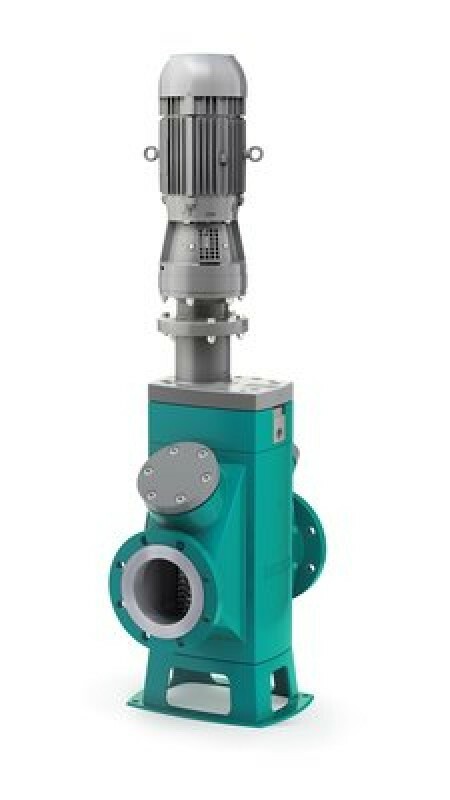 Netzsch has announced a new addition to its grinding technology range with the launch of the N.Mac Twin Shaft Grinder. According to an announcement for the new grinder, it has been designed ‘to protect pumps and processes’ and provide an upstream application to core Netzsch pump technology. Specifically, it is apparently ideal for fragmenting materials in wastewater treatment, biogas and biomass plants, food, animal processing, and other waste and industrial applications. Netzsch says that the N.Mac can be mounted upstream before the pump (inline model) or on top of the auger (channel model). The grinders can also be stacked for successive particle size reduction, while an optional control panel is equipped with an auto-reverse feature for extracting jammed media. Models of the pump feature from one to six cutter cartridges per shaft. Cartridges come pre-assembled, with pre-packed spacers and blades, available in different materials depending on the application. The grinder comes as standard with different cutting gear sizes for different shaft speeds, resulting in better grabbing and grinding. Available accessories include a control panel ‘to ensure operator and equipment safety’, a cutter cartridge cleaner that keeps the area free to cut and allows fluid passage, and a transmission shaft extension that elevates the electric motor to above the fluid limit.